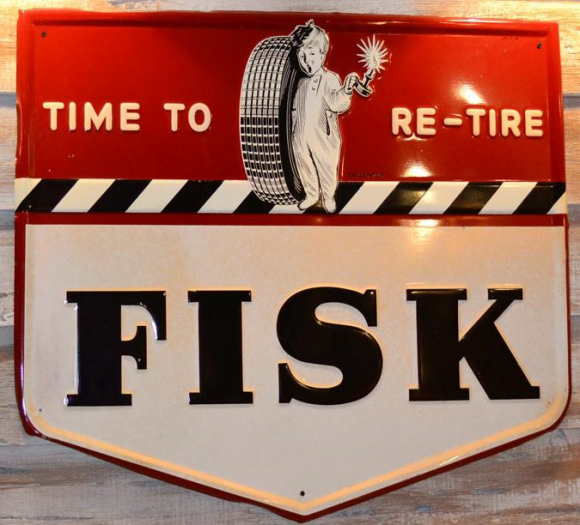 This is a die-cut Fisk Tire porcelain sign. This particular Fisk Tire sign is red, white, and black. It reads, “Time to Re-Tire, Fisk” and features a small boy yawning and standing next to a tire at the top.